Princess Benedikte bets on herself! Happy Birthday to HM Queen Margrethe! Many readers have asked for information about the people around Mary and Frederik and might already know the end of this month marks the end of the term of service of Crown Princess Mary's first lady-in-waiting (hofdame in Danish). Countess Victoria Bernstorff-Gyldensteen was appointed Mary's hofdame for a period of two years, which is now up. Victoria's appointment was for two years from the outset. While the idea of a hofdame/lady-in-waiting seems rather old-fashioned and a little bit out of a fairytale, it is a position of privilege and tradition in the royal world and acts as a kind of companion and confidante to the royal, so discretion is very important. In these modern times the job has a wider function, perhaps like a PA and counsellor, which includes accompanying Mary on official engagements at home and abroad, be on top of event agendas, gifts, handshakes, names and bouquets (as probably the most minor part of the role!). The hofdame makes sure no-one is left out and takes care that the right people get a royal handshake, which might be a bit tricky when considering how frenzied some welcomes of Mary can be sometimes. It is not known whether it is a salaried position, but it is believed the court at least covers the costs and expenses of the hofdame. Countess Victoria was born in New Jersey and grew up in California. She has a bachelors degree in Political Science and Art History and like Mary had the experience of settling in Denmark as a young woman when in 1979 she married Danish Count Frants Erik Bernstorff-Gylldensteen. Victoria went through the experience of mastering the Danish language, raising a family (she has two sons in their early twenties, Peter and Erik) and learning to be in a new country. At Gyldensteen Manor Count Frants grows organic broccoli, leeks, etc. among his other agricultural business connections and with Countess Victoria is also part of the royal retinue. Count Frants was once mayor of Bogense for the Conservative Party. Countess Victoria and Mary share an interest in golf, indeed Victoria got a hole-in-one at Odense Golf Club in 2002. Although there must be much more to the relationship between Mary and her hofdame than might be obvious, as mentioned, the most visible role of the hofdame will be to take the flowers when Mary can no longer hold any more, to take all kinds of gifts, and generally be of help however it is needed. Countess Victoria once famously popped a beer into her handbag given to Frederik when they were in Australia in 2005! She must have toted an awful lot of Fruit Tingles during the Australian visit too. Perhaps we can safely assume though, there is more to the role than is obvious to us looking in from the outside. On 5 February 2006 Countess Cynthia Victoria Bernstorff-Gyldensteen received the Knights Cross of the Order of the Dannebrog from Queen Margrethe. This honour was given on Mary's birthday. Following are some photos of Mary and Victoria together at various engagements over the past two years. No doubt Victoria and her husband will continue to be involved with Frederik and Mary socially and will be invited to the big occaisions (as they have in the past). On 8 March 2006 it was announced on the Crown Prince Couple's website via press release that a new hofdame has been appointed. She is 33 year-old Caroline Elisabeth Heering. Caroline Heering has a degree in business (cand. merc) and is married to Frederik's childhood friend Peter Heering. Caroline Heering has many links to the Danish royal family. Caroline Heering's mother is Helle Moltke, Countess of Lystrup and Jomfruens Egede. Husband Peter Heering's parents are close friends of the Queen and Prince Henrik. 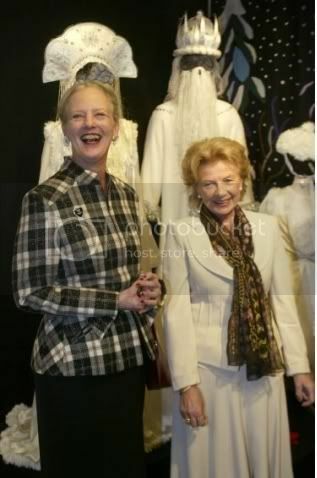 Caroline's mother-in-law Susanne Heering is one of Queen Margrethe's good friends. Susanne Heering has her own ballet school and Queen Margrethe designs costumes and scenery for the annual end-of-year productions. Caroline and her husband Peter's close proximity to the royals means they are part of the inner circle around Frederik and Mary. 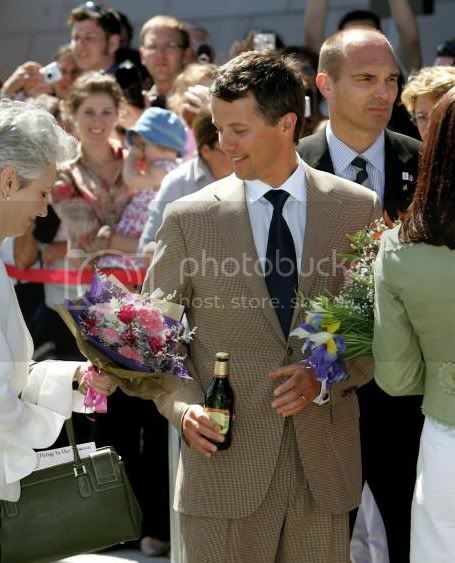 Even before moving to Denmark Mary's first public outing there was to attend the baptism of the Heerings' first daughter, so they have been intimately part of the group of Frederik's friends who have helped settle Mary into life in Denmark. According to Billed Bladet Caroline Heering is ready for her friendship with Mary to enter new territory as hofdame. Caroline told Billed Bladet that she was preparing for her new job and looking forward to supporting Crown Princess Mary with her many patronages. She says she has much to learn. Caroline says she is naturally shy and would like to continue to live her life quietly as far as possible, and that fortunately the focus of attention is not directly on her. Caroline's daughters are four-year-old Emilie and one-year-old Rosemarie and the family lives in Hellerup in Copenhagen. The rules of rank and etiquette are a part of Caroline's background. She was raised at Lystrup Manor growing up with her sister Marie-Louise Susanne Kjær and her half-brother Joachim Godske Normann Moltke. Caroline's mother Helle Flamand married for the second time to count Norman Moltke from Lystrup in 1987. Unfortunately Norman Moltke died of cancer at age 42 while on his honeymoon with Helle in Sydney in 1988. But Helle was pregnant and their now 18 year-old son Count Joachim Godske Molkte (Caroline's half brother) will inherit his father's title and entire estate. 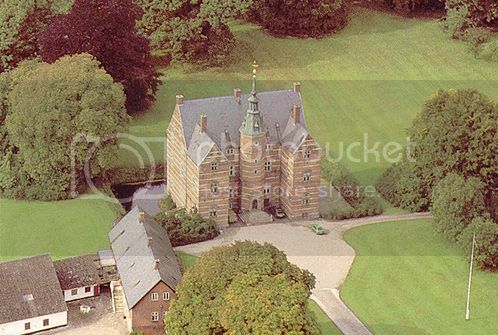 It was at Lystrup Slot that Caroline, among others, had organised Mary's 'hen's night' before she was married in 2004. Caroline is part of the group of three or four close and most trusted of Mary's friends along with Birgitte Handwerk, Rose Gad and Julie Mølsgaard. Billed Bladet says the court selected 55 year-old Countess Victoria Bernstorff-Gyldensteen and this time the choice of Caroline Heering is an open-ended term as hofdame which may well become many years in the position. Here Billed Bladet described Caroline's first day on the job at the unveiling of Mary's official portrait by Ralph Heimans (wearing the chiffre denoting her position as Mary's hofdame-- this is a blue ribbon with Mary's monogram in gold pinned to her right shoulder). 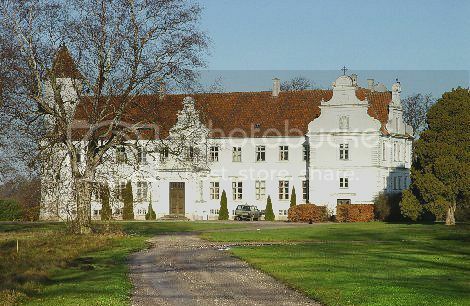 Following are some photos of Mary, Caroline and Peter Heering and some of the estates, including Lystrup Manor, which are part of the Lystrup estate. 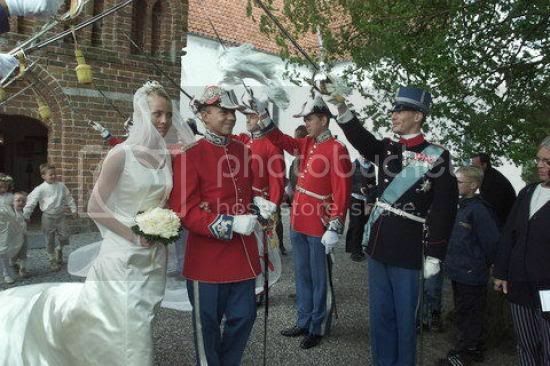 Note Prince Joachim is in the honour guard at Caroline's and Peter's wedding. This was a great posting! I want to thank you for taking time and effort to offer some information about the friends & ladies-in-waiting! Fascinating.